The collection will be available in a selection of company stores and through its online store starting in February. With the name “Mert and Marcus 1994 x Dsquared2“, the collection seeks to capture the spirit of those years of freedom and transgression that crossed the streets of Berlin at the beginning of the decade of the 90s. The result is a collection of garments for both men and women, with a style characterized by a combination of volumes and a palette of bright colors. Among the pieces of this new Dsquared2 collection there are sweatshirts, bomber-style jackets, tank tops, oversize designs and asymmetrical dresses. All made with a selection of treated fabrics, with the aim of creating plastic effects and brilliant finishes. The couple of photographers were awarded last December at the Fashion Awards gala held at the Royal Albert Hall in London. Mert Alas and Marcus Piggott met in England around 1994, not by chance the date that accompanies this capsule collection. 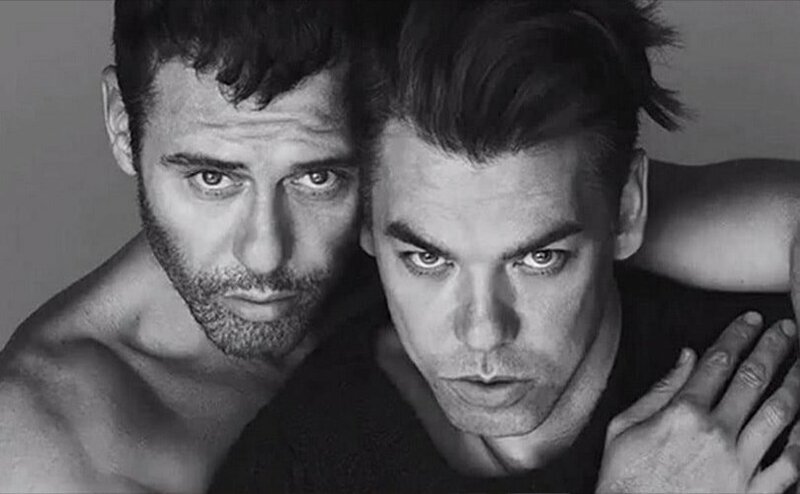 Soon they decided to join and work together, creating one of the most important teams of photographers in the fashion industry in recent decades. Their work has been published in magazines such as Dazed and Confused, Vogue, Interview and W Magazine, and have worked for brands such as Dior, Louis Vuitton, Missoni and Fendi.